Take a tour of the Tillamook Cheese Factory. You won’t regret it! You’ll learn how cheese is made, of course, but also things like what makes cheddar sharp, how ice cream is made, and other things you probably didn’t know. The cheese factory makes 167,000 pounds of cheese every day! 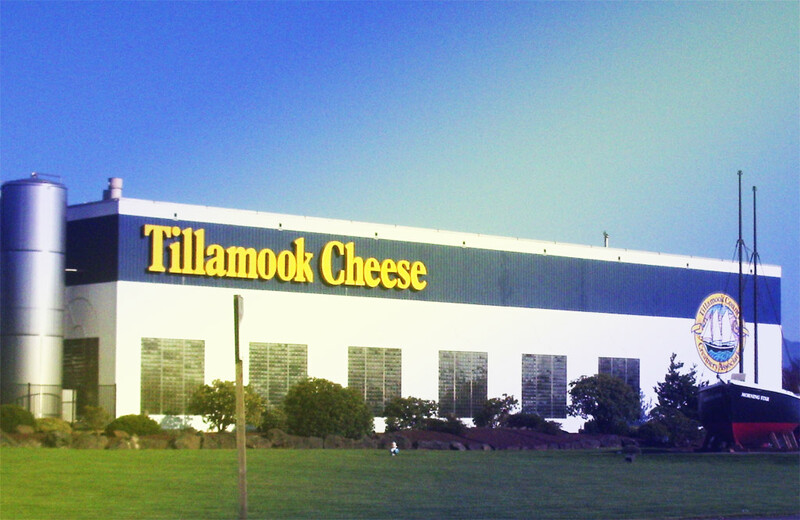 Tillamook’s cheddar ages between 60 days and 3 years in their massive seven story refrigeration warehouse, capable of holding 50 million pounds of cheese. You can learn about the difference between processed cheese and Tillamook’s natural cheese here. Tours of the cheese factory are free and self guided. Start whenever you like, and go at your own pace. Even take a short break to get a bite of ice cream. Through the tour you’ll get to see the cheesemaking, the packaging, and learn about Tillamook’s more than 100-year history of cheese making. While at the Cheese Factory, you’ll absolutely want to buy some of their mouth watering dairy products: cheese, butter, sour cream, yogurt, and of course, ice cream! Tillamook makes a wide variety of ice cream flavors, from Fireside S’mores, and Banana Split, to Vanilla Chocolate Chip and Orange Sherbet. Their cheeses vary from the classic medium cheddars and colby, to the more exotic garlic white cheddar and several smoked cheeses. And a stop at the cheese factory is not complete without trying their squeeky cheese curds! Tillamook is best known for their cheeses, but they also make 30 different delicious flavors of fudge! You’ll definitely check them out when you come by for a tour.